RIGA: NEW JEWISH CEMETERY "SMERLI"
RIGA NEW JEWISH CEMETERY "SMERLI"
Top right corner of the main page offers language buttons for Russian, English and Latvian. 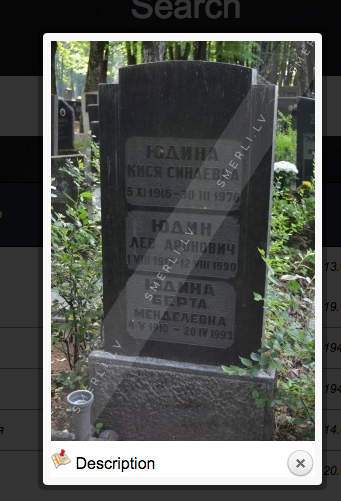 Labels: Cemeteries, Cemetery, Latvia, Riga, Riga New JewishCemetery "Smerli"
Alphabetized lists in table format are provided, in German. Elie Gozlan---president of the Joint, retired from the position because of health issues.